I have a bit of a “thing” for Rice Krispie Treats. They’re crispy, chewy, sweet, and JUST. SO. GOOD! 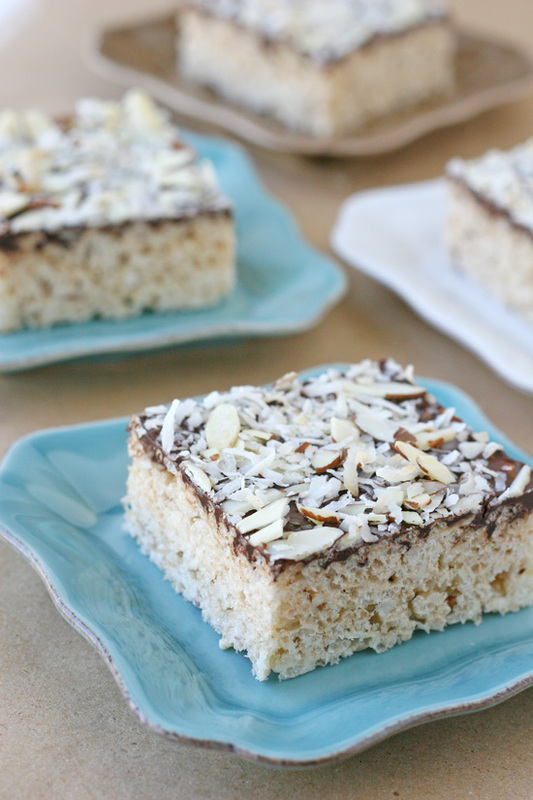 These Almond Joy Krispie Treats take a simple and delicious treat to a whole new level! If you’ve spend any time here before, you already know I love “fancy” rice krispie treats! Smore’s Krispie Treats, yum… Oreo Krispie Treats, yes please… Chocolate, Caramel and Peanut Butter Krispie Treats, oh baby! And these Almond Joy Krispie Treats will join the list as one of my new favorites! 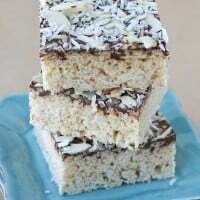 These delicious bars combine toasted coconut and almonds with the traditional krispie treat and then get a layer of chocolate and more nuts and coconut to finish them off beautifully! If you love the flavors of an Almond Joy candy bar, you’ll want to whip up a batch of these treats very soon! 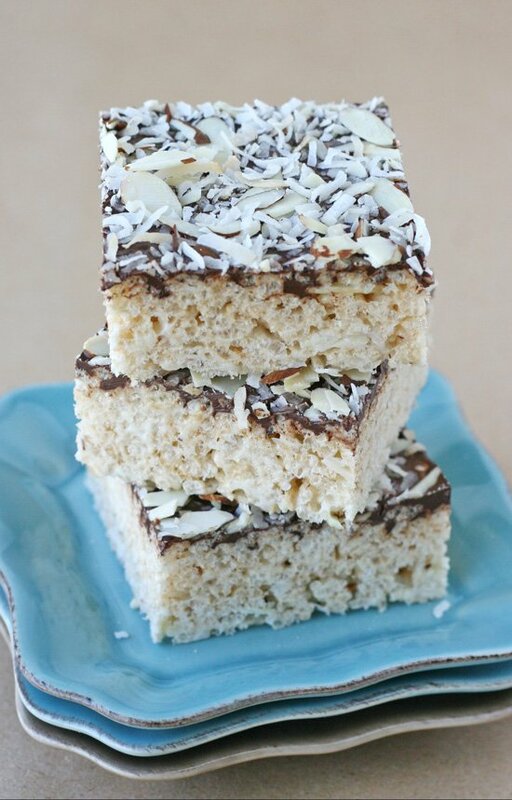 Coconut, almonds and chocolate take rice krispie treats to a whole new level! 1.) Pre-heat the oven to 375*F and spread the coconut and almonds onto a baking sheet. Bake for 6-10 minutes. Check after 5 minutes of baking, and stir nuts and coconut. Check again after each additional minute to make sure the ingredients don't burn. Remove from oven when lightly golden. Set aside and allow to cool. 2.) Prepare a 9"x13" cake pan by lightly greasing with butter. Lightly spray 2 rubber spatulas with cooking spray (or coat lightly with butter) and set aside. 3.) In a large bowl add the cereal. Set aside about 1 cup of the coconut/nut mixture (for topping), and then add the remaining coconut and nuts to the dry cereal. Stir to combine. 4.) In a large glass bowl, add the marshmallows and butter (if the butter is cold, cut into a few smaller pieces). Microwave 2-3 minutes until the marshmallows are VERY puffy. Carefully remove from the microwave and stir with a greased spatula. Stir until the butter is well combined with the melted marshmallows. Add coconut extract and stir (working quickly). 5.) Pour the marshmallow mixture into the bowl of cereal/coconut/nuts. Using another greased spatula, work quickly to combine all ingredients. 6.) Pour/scoop the combined ingredients into the prepared pan and use a spatula to press down the mixture into the pan. 7.) 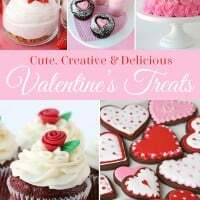 Allow pan of treats to cool slightly (about 5 minutes), then melt the chocolate (in a double boiler or at 50% power in the microwave). Pour the melted chocolate onto the treats, and spread (using an offset spatula). Sprinkle on the reserved coconut/nut mixture. 8.) 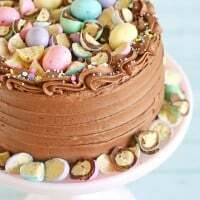 Allow chocolate to cool fully (about 30 minutes) before cutting the treats. I used unsalted butter because that's always what I have on hand. I'm sure you could use salted butter if desired. I used 2, 4oz bars of Ghirardelli bittersweet (60%) chocolate. Looks super yummy. I love Almond Joy! Almond Joys are one of my favorite things. Love these! Love this idea and I also have made your granola bars twice since last week – they are so yummy and easy! Yum! I think you should make a batch of these for our road trip! I love rice krispie treats, but I’ve never tried variations on them like this. Almond Joy is one of my favorite candies, so I make have to try this recipe out! Love you! These have got to be one of the most creative krispy treats ever!! YUM! 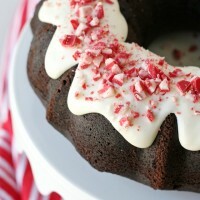 I would have to make the “mounds” version- almond allergy But I cannot wait to try non the less! love me some crispy crunchy in my chocolate coconutty goodness! I have to try this! Almond Joy’s happen to be one of my favorite candy bars. Thanks for sharing! 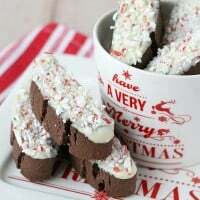 Okay – so…..Almond Joy is one of my fave candies – these look SO GOOD!!!!! Can you substitute marshmallow creme? If so, would you use the same amount?